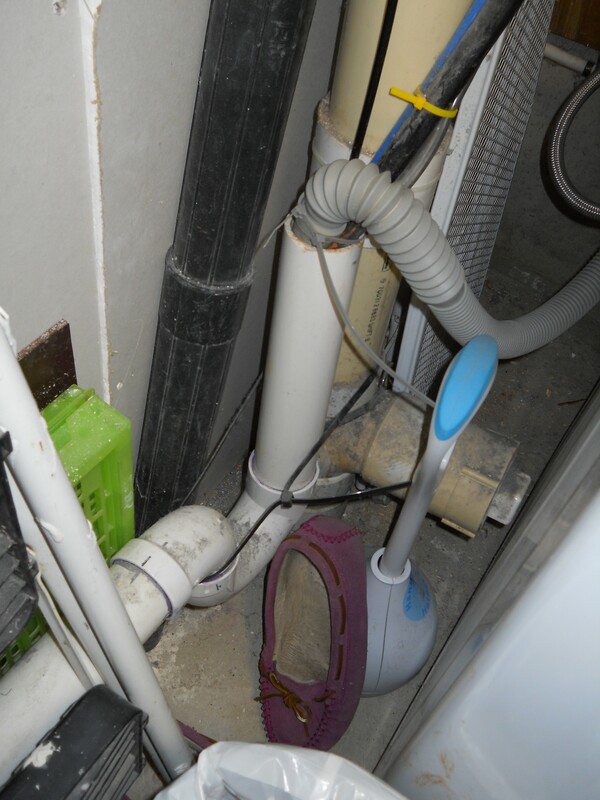 Photo of drainage from furnace, washer dehumidifier and water softener. In the second video the septic pro talked about gases that can eat away at concrete septic tanks. There are substances such as garbage (from disposal), paint from cleaning brushes etc., and grease that can lead to problems with the system separating waste potentially leading to backup of the sewage to the home. The blue tubing is from the water softener that sends drainage to the septic via the home drain. The salt content leads to the eating away of the cement.